I am Vic Castrission’s nephew and I live in Canberra. I am 59 and a retired public servant so I still spend a lot of time in Gundagai. I would like to give you some information about the Niagara Cafe in Gundagai and my uncles and fathers involvement in Rugby League, Group Nine and the Maher Cup. 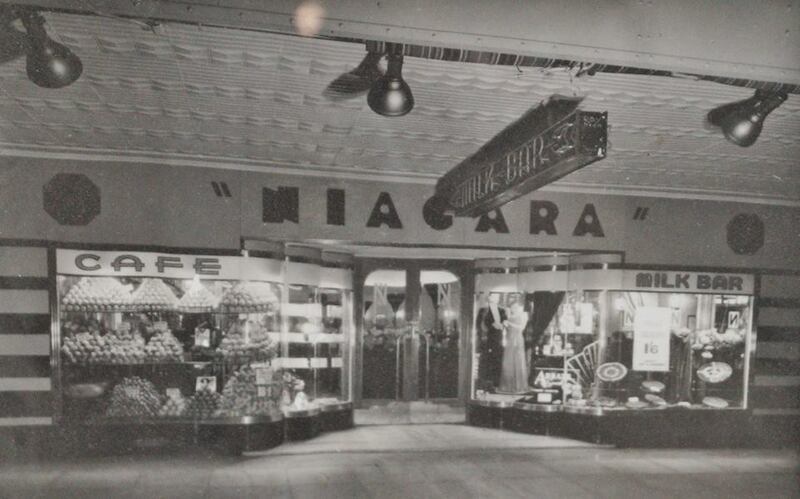 The Castrission Brothers acquired premises where the Niagara cafe stands in 1916. 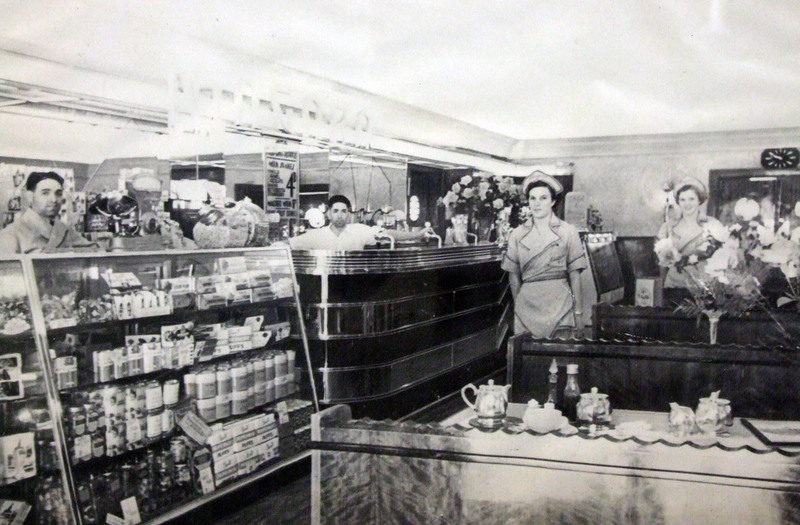 After renovations in 1919 it was renamed the Niagara Cafe. Initially (prior to WW2) there were five brothers and an uncle involved in the business however after the war, three brothers left Gundagai and Jack (my father) and Vic ran the business as a partnership. Both dad and Vic were involved heavily in the Gundagai community including the Gundagai Rugby League club, where they served on the committee. It was amazing that they had time to do this as the cafe ran seven days a week, opening at 7 am and closing at midnight. They worked a roster system doing about eight hours each a day. Mind you the cafe had 14 staff on at its peak in the mid 60’s and mum and Vic’s wife May made a big contribution. Tom Wainwright, Peter Diversi & Vic Castrission with the Blooda Maher Cup. Source: news clipping on wall of Niagara Cafe. Vic was president of the Gundagai Rugby League in 1963, when the Tigers won the Group Nine premiership and held the Maher Cup for a record stint. I was 8 years old at the time. A vivid memory at the time is of the Maher Cup and the premiership trophy standing proudly in the front window of the Niagara with the Black and Gold ribbons adorning the trophies. John (Bronc) Jones, a Gundagai native was the captain coach at the time. 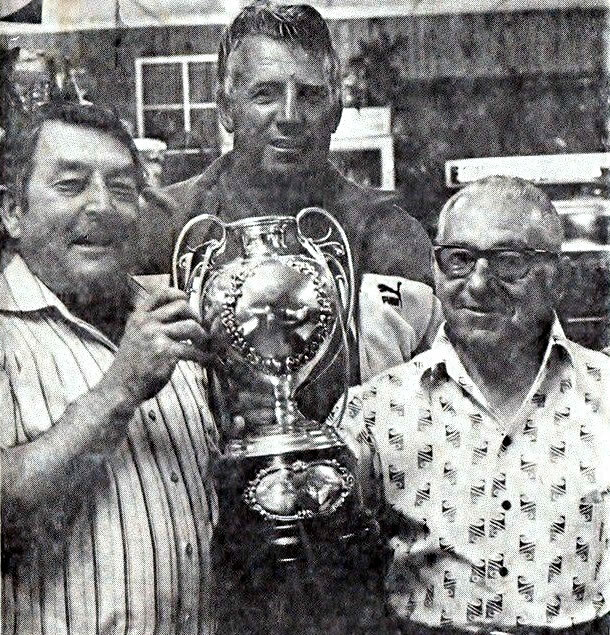 Vic, in his slight Greek accent (he and dad came to Gundagai as young teenagers and never left) would say,” Bronc, make sure you bring the blooda Maher Cup back to Gundagai”. To this day, many older Rugby League followers in the town still refer to the cup as the ‘Blooda Maher Cup’! Niagara Cafe staff Gundagai 1939. After games in Gundagai all the women and children would pile into the Niagara for sodas and sundaes, and there were no males in sight. The only give-away to where the blokes were was the slight din emanating from the rear bar of Foley’s Gresham Hotel opposite the Niagara where the football ‘function’ was held. As there was no Sunday trading at hotels then you had to be a ‘bonafide’ traveller to get in. I’m not sure how the Gundagai blokes got in but there were plenty of them in there! 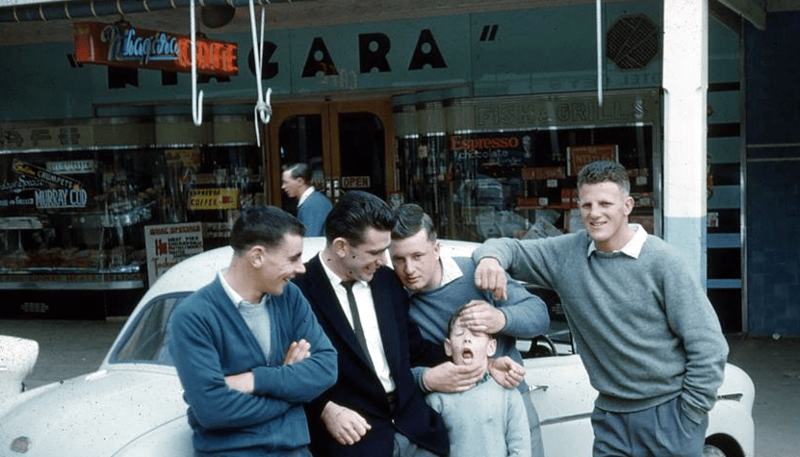 Vic had three sons, Paul, Jim and George who all played junior football for Gundagai in the early 60’s. It was a wonderfully simple life in those days and the Saturday/Sunday football of Maher cup and competition games consumed the entire community with huge crowds at Anzac Park for both days. Jack and Vic hosted Grand Final breakfasts for all Gundagai first grades sides that made it to the big one (1952 and 1963 winners of group nine). I clearly remember the last one in 1983 when a young Cliff Lyons played 5/8 for the Tigers and they gave Young a touch up in Coota. It was on that actual day that the Niagara was sold to the current owners, the Loukissas family. We took Jack and Vic to the game that day on a local bus. It was the first time that they actually went to the footy together, both in their 70’s. Vic got lost after full time and we found him in the dressing sheds giving a speech about those magnificent blooda Tigers! This entry was posted in People, Social Life and tagged Cafes, Castrission Brothers, Greek-Australians, Gundagai. Bookmark the permalink.